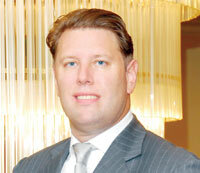 TTN spends five minutes with Pascal Eggerstedt the new general manager of Crowne Plaza Bahrain. How long have you been with IHG and where were you before Bahrain? I have been with IHG for the past 12 years. I am a graduate of the Hotel School The Hague and have worked with IHG in various corporate and hotel operations roles in Asia Pacific and Europe. Prior to joining the Crowne Plaza Bahrain I worked in Dubai and Oman. What are the strengths of the Bahrain property? One of its great strenghs is undoubtedly its history, being one of Bahrains most established hotels for more than 30 years, together with a fantastic team that is very dedicated to delivering great service and experiences. The location is right in the middle of the diplomatic area of Bahrain and the hotel offers a wide selection of dining and entertainment options. The Crowne Plaza Bahrain is a great venue for all types of conference and banqueting events with the spacious Bahrain Conference Centre, which is part of the hotel complex. What do you see as the main challenges facing you in the new post? Off course the global economic crisis has been a very tough opponent in the past years. However with the fantastic developments and future potential of Bahrain as an international powerhouse, I am very optimistic about the prospects. What are your plans for Crowne Plaza Bahrain in the future, any promotions coming up or news to share? One of the first priorities is to upkeep and further enhance the great reputation of the hotel. We are currently looking at many exciting projects that will support this vision. One of the first that will be completed is our new covered car park next to the hotel which will be very convienient for our guests especially during the hot summer months. During the past four years I have very much enjoyed working and living in the Gulf which, in my opinion, has become one of the most exciting parts of the world for our industry. It is a privilege to come to the kingdom and I am looking forward to the many great friendships with our guests that lie ahead.